Photo Gallery - Click on the image to enlarge it. 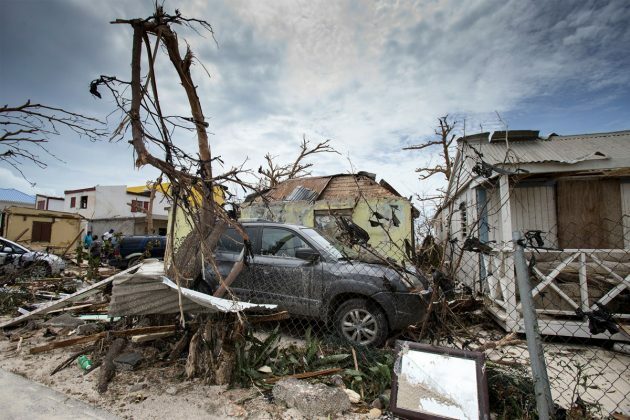 A deadly Hurricane Irma scraped Cuba’s northern coast Friday on a course toward Florida, leaving in its wake a ravaged string of Caribbean resort islands strewn with splintered lumber, corrugated metal and broken concrete. 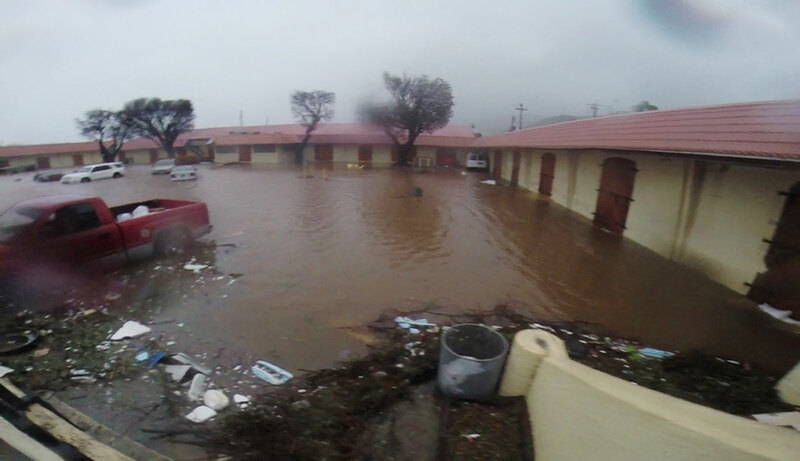 The death toll stood at 24 and was expected to rise as rescuers reached some of the hardest-hit areas. And a new danger lay on the horizon to the east: Hurricane Jose, a Category 4 storm with 150 mph winds that could punish some of the devastated areas all over again this weekend. Irma weakened from a Category 5 to a still-fearsome Category 4 on Friday morning with winds of 155 mph (250 kph). 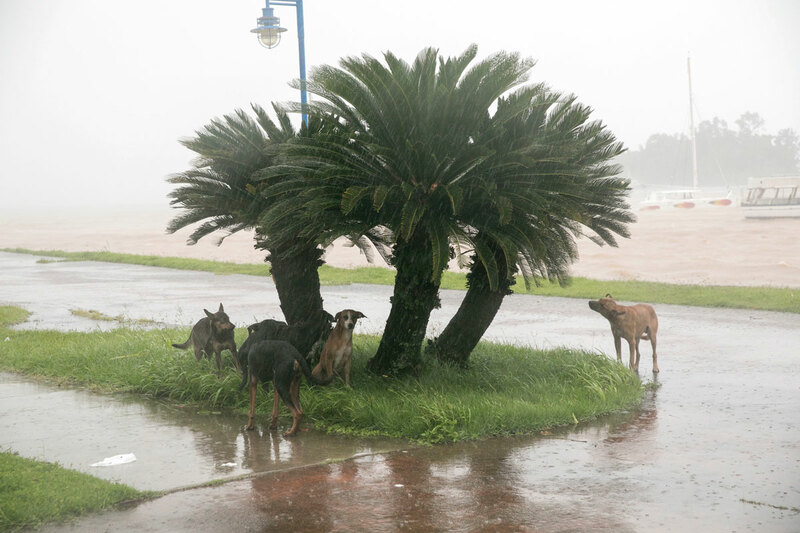 The storm stripped the islands’ formerly lush green hills to a brown stubble and flattened buildings, then swamped much of Cuba’s coastline, including Havana’s iconic Malecon seawall. 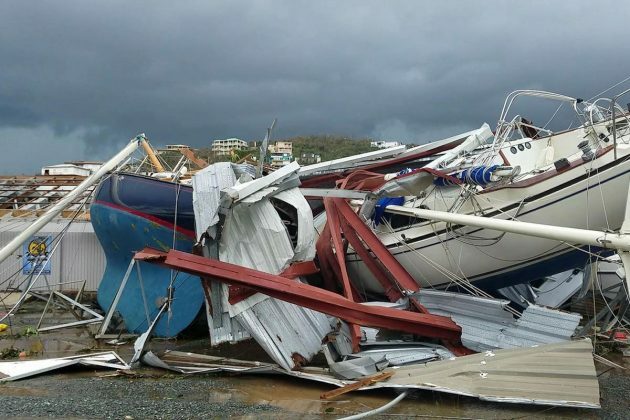 The hurricane smashed homes, schools, stores, roads and boats on Wednesday and Thursday as it rolled over islands long known as turquoise-water playgrounds of the rich, including St. Martin, St. Barts, St. Thomas, Barbuda and Anguilla. It knocked out power, water and telephone service, trapped thousands of tourists and stripped the lush green trees of leaves, leaving an eerie, blasted-looking landscape. Authorities reported looting and gunfire in St. Martin, and a curfew was imposed in the U.S. Virgin Islands. The crisis was a glimpse of what could lie ahead early Sunday for Florida, which braced for what many fear could be the long-dreaded Big One, with the Miami metropolitan area of 6 million in the crosshairs. Irma was at one point the most powerful recorded storm in the open Atlantic. 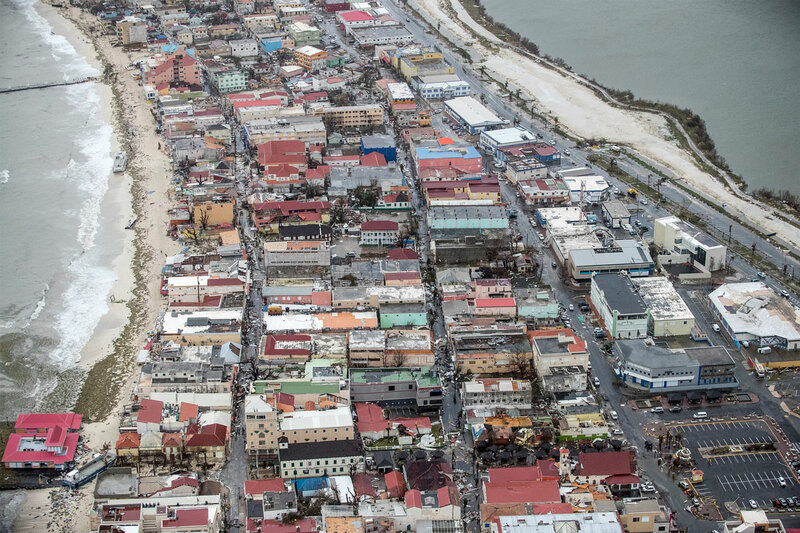 It could be one of the most devastating storms ever to hit Florida, a state that has undergone rapid development since the last major hurricane struck a dozen years ago. Florida residents and tourists faced gas shortages and gridlock as a half-million people in Miami-Dade County were ordered to clear out. Irma rolled past the Dominican Republic and Haiti and battered the Turks and Caicos Islands early Friday with waves as high as 20 feet (6 meters). 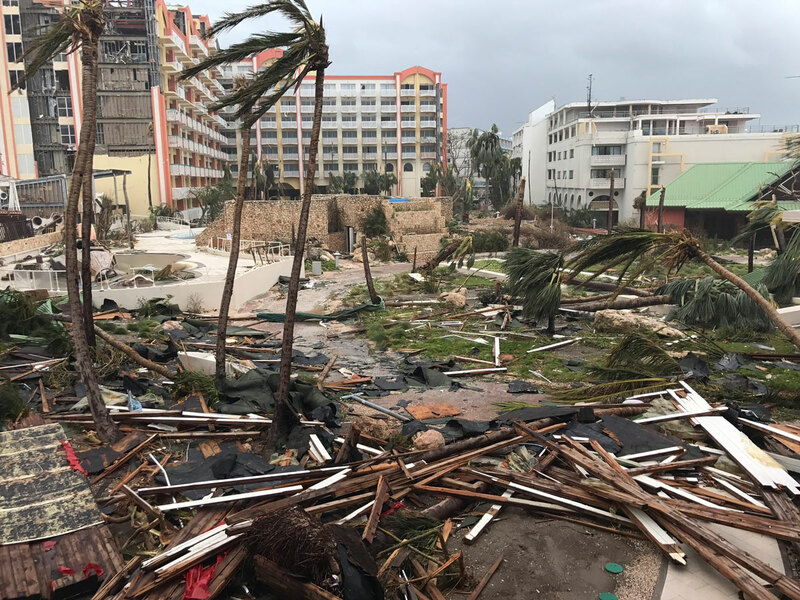 Communications went down as the storm slammed into the islands, and the extent of the devastation was not immediately clear. 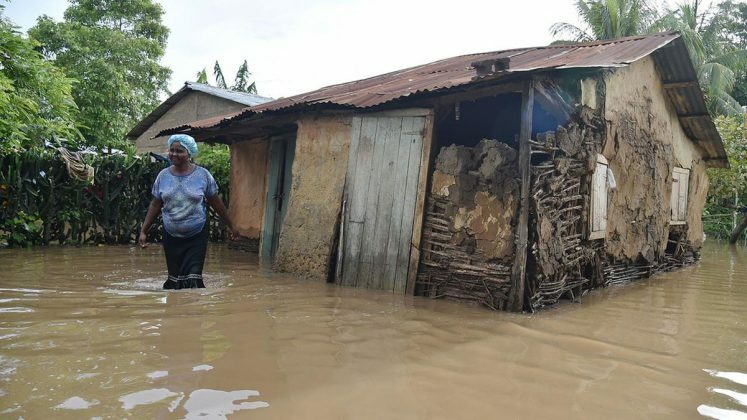 The hurricane also spun along the northern coast of Cuba, where tens of thousands of people were being moved to safety, including thousands of tourists along a shoreline dotted with all-inclusive resorts. U.S., Dutch, French and British authorities used warships and military planes to rush food, water and troops to the stricken zone. 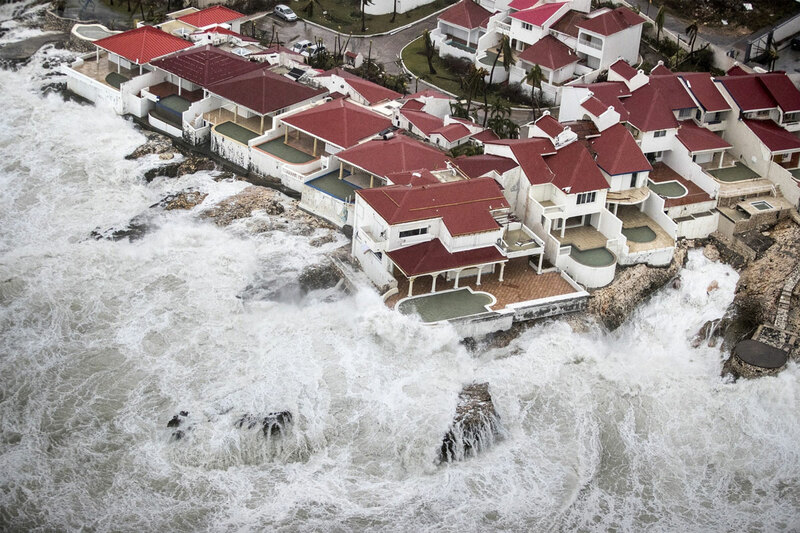 On the island of St. Thomas, part of the U.S. Virgin Islands, the hospital was destroyed, power lines and towers were toppled, a water and sewage treatment plant was heavily damaged, and the harbor was in ruins, along with hundreds of homes and dozens of businesses. Laura Strickling, an opera singer who moved to St. Thomas with her husband three years ago from Washington so he could take a job there, huddled with him and their year-old daughter in a basement apartment along with another family as the storm raged. “The noise was just deafening. It was so loud we thought the roof was gone. The windows were boarded up, so it was hot and we had no AC, no power,” she said. She said she and the three other adults “were terrified but keeping it together for the babies. When they emerged they found their apartment on the top floor was unscathed. Adrien Reinhardt, who spent the storm hunkered down with Strickling, said by telephone that her own house was left standing, but others were obliterated. “There are houses that are just non-existent any more. Not just the roof is gone, but whole houses crushed to the ground,” she said, speaking over the sound of a Coast Guard helicopter making rescues. “Let people know: We need food, we need supplies to survive,” she said. Thousands of tourists were trapped on St. Martin, St. Barts, and the Virgin Islands in the path of Jose, which threatened to strike as early as Saturday. Authorities rushed to evacuate as many people as possible from Barbuda ahead of the new storm. Some of the Irma-ravaged islands could see tropical-storm force winds and heavy rain from Jose, said Jeff Masters of the private forecasting service Weather Underground. On St. Martin, which is divided between Dutch and French control, cafes and shops were swamped, and the storm left gnarled black branches stripped of leaves. Battered cars, corrugated metal, plywood, wrought iron and other debris covered street after street. Roofs were torn off numerous houses. There was little left of the Hotel Mercure but its sign, painted on a still-standing wall. “We’ve had quite some looting that has taken place, unfortunately,” said William Marlin, prime minister of the Dutch side of the island. The dead included 11 on St. Martin and St. Barts, four in the U.S. Virgin Islands, four in the British Virgin Islands, two in Barbuda and one on Anguilla. 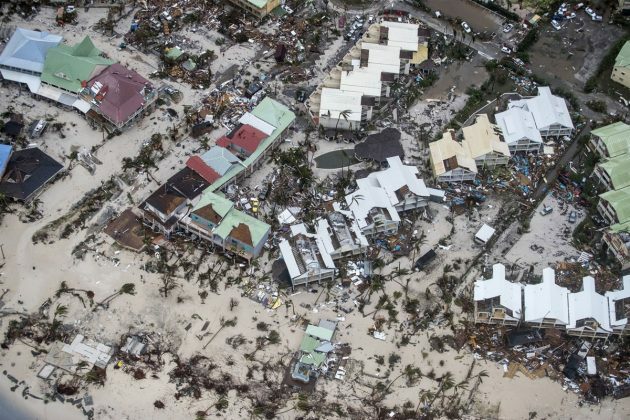 One of the deaths in Barbuda was that of a 16-year-old junior professional surfer who drowned on Tuesday while surfing large swells generated by an approaching Irma. Photos and Videos of Hurricane Irmas’ Destruction Throughout the Caribbean. The hurricane smashed homes, schools, stores, roads and boats on its path.